Xeno is the generic name given to all these creatures; this way you can generally name any type of genetic experiment. It would be the name of the whole race and its variants. In the expanded universe of Project Prime it’s normal that humans create and use these genetically designed animals to supply precious human labor, create new tech experts or simply give them the jobs nobody wants, since humans are mostly busy doing more important jobs. 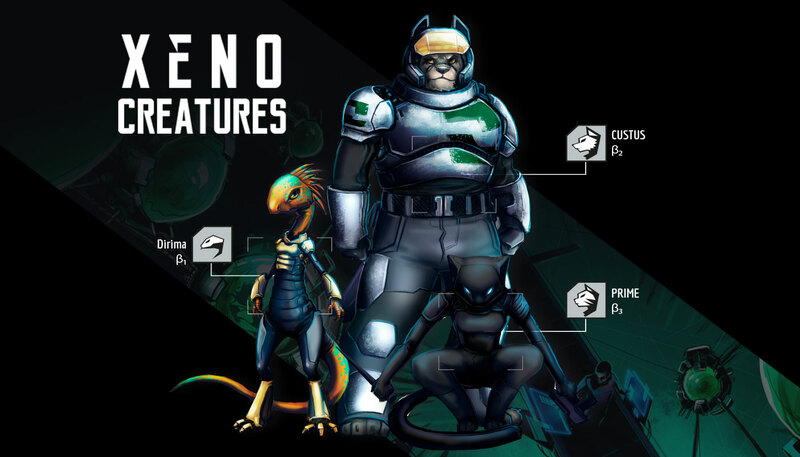 These Xeno races are the main component of the webcomics story, and due multiple side projects like THE VOID, they’re being expanded with more animal species as seen in the comics. 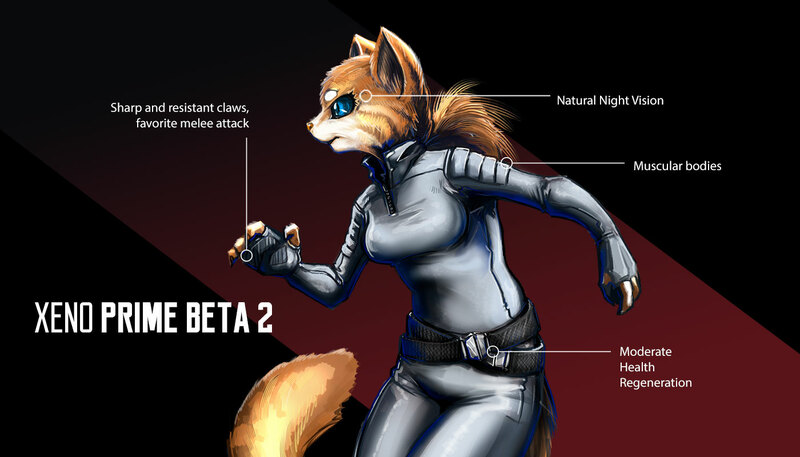 The Alpha creature is always a protype hybrid, unstable in many ways and more in contact with their animal side, they’re usually very resilient since the scientist use them to test the maximum potential of their genetic upgrades. The Alpha are experimental and less refined versions of a Xeno race, with many important flaws. Due to this they are often considered very unstable and dangerous. The Alpha creature is one of the first specimens ever created for any given Xeno race, due this, they haven’t been trained for any specific task or profession. Their best defense is their altered and enhanced genetics. The Xeno Prime beta 1 species were adapted to serve, they’re a sort of stable version produced from the original Beta specimen. They’re more unstable and basic compared to further Prime versions. You can tell a Beta 1 from the other Prime species due their lower stature. The females are usually smaller and thinner, and the males are just a bit more robust. Their appearance can vary a lot from each other, they can even have short or long fur. 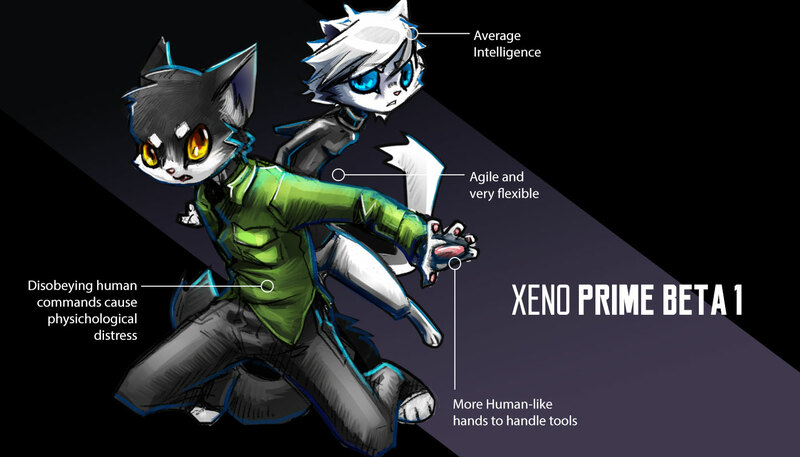 All of the "PRIME" Xeno series are Feline species. Most of them have an introverted personality due to the strict conditioning process forced upon them by the scientist. They are capable of being afraid of their own thoughts and fear the notion of having their own ideas, they prefer to obey without hesitation and are known to speak very little. If a Beta 1 Prime even thinks about the murder of a human being they risk going insane due to desperation. Their conditioning is perfect, they can’t disobey or harm a human being without being seriously psychologically scarred. This race is the most mentally unstable of them all. The Xeno Prime Beta 2 were created specifically to become shock troopers. They have a strong personality and are mostly serious or even harsh in nature. They have a more refined conditioning compared to the Beta 1, allowing them more be more autonomous under stressful conditions. Most of the Prime Beta 2 are war veterans and are proud of their scars. A Xeno Prime beta 2 is the taller and stronger of their species, making them a bit more heavy and slower than the posterior Beta 3, but way more resistant and versatile. They usually have strong personalities and are very secure of themselves, capable of achieving any objective they have. They’ll rarely admit a mistake unless forced by a human being. They are aware of their own capabilities and desire power to command other Xeno, they are constantly fighting for higher hierarchy. 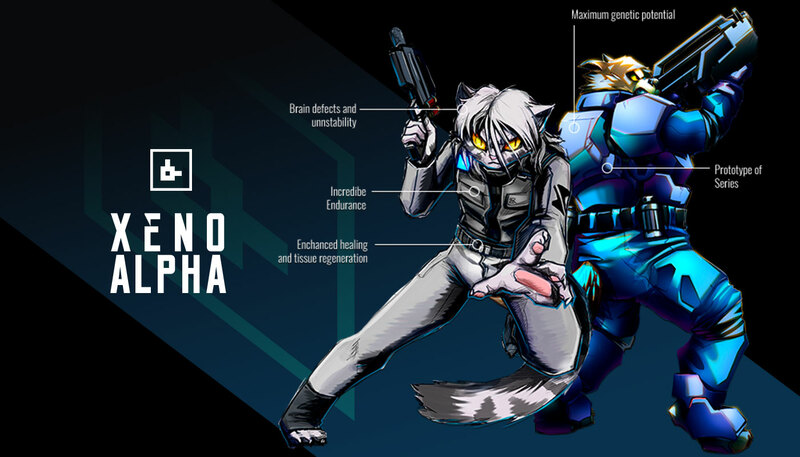 They are mostly shock troopers, effective in both close and long range; It is rarer, but there are some isolated beta 2 helping humans with force labors or supervising the training of other Xeno.